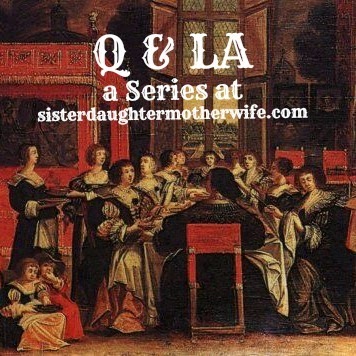 Welcome to our second session of Q and LA (questions and Lutheran answers). As you may recall, "This is just a discussion that we wish we were having over tea and coffee in someone’s living room. There would probably be kids yelling in the background. There would probably be cookies, and spilled tea." I have really appreciated reading these answers, and it sounds like our readers have, too. Feel free to chime in with your own advice, input, or anecdotes (we love anecdotes) in the comments. Is it realistic to expect that siblings will usually get along? How do you know what kinds of standards for sibling behavior are realistic, yet not too low, and how do you enforce them without constantly interfering in sibling play? If an older sibling sometimes makes a younger one cry, what would you do? Because of our sinful human nature, it is easy for siblings to not get along! We taught our girls that their sister would be in their life always, more consistent than any friend, and they should appreciate each other and make every effort to get along. It's is good to have that discussion at a calm time, and then refer to it when they are in the midst of a disagreement or fight. When a fight would begin I would calmly break it up and show each ways to diffuse the anger and work together. 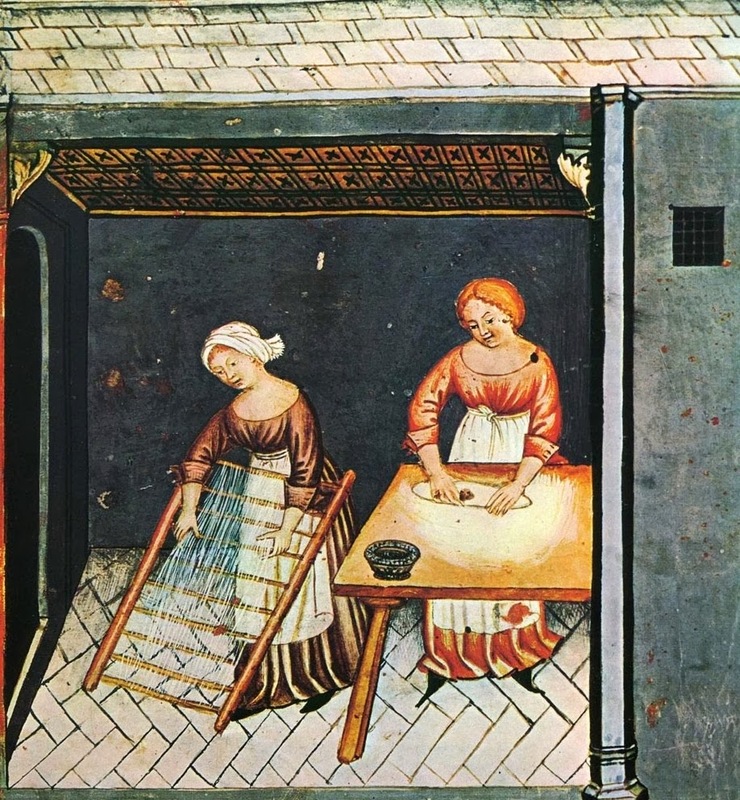 Other times, when I knew they had the skills necessary to get along, I would tell them, "I'm not willing to allow your fighting here in the kitchen/living room. Please take it to your bedrooms and work it out. Come back when you are getting along." Today, as young women, our daughters are best friends even though they have very different personalities. The traditional family is the building block of society, and it is within this unit that children grow into their personality, learn limits, test boundaries, learn civilized behavior and develop relationships with adults and peers. Raising children to become intelligent, caring, responsible, and compassionate adults involves a mixture of one part psychology, one part Christian Doctrine and one part Faith in Action. Mix with love, patience, repetition and forgiveness. Children will live up to your expectations of themselves, so if you expect them to be GOOD, then they will be good. If you expect them to be BAD, then they will be bad. Make no mistake about it, children are sinners too and they will act selfishly, insist on their own way, disagree and occasionally quarrel or even act out their frustration physically! Reward good behavior and firmly discourage bad behavior. Teach children to share, take turns, and appreciate each other's unique talents and strengths. When parents appreciate the unique qualities of each of their children and encourage respect, cooperation, empathy, teamwork, and creative problem solving, then they are living and leading by example, which is the best teacher. Most importantly, model forgiveness, as all sinners large and small desperately need it daily. The secular world may teach basic moral values, but forgiveness, as modeled by Christ himself on the cross for our sins, is not taught by the world to our children. Live by example. Children model the behavior of the adults to whom God has entrusted their care. Watch your children interact with one another and allow them time to work things out for themselves peacefully. Intervene only as needed if arguments become overly physical in nature, and one child seems to dominate over another. Parents should always have the "upper hand" and the final word when resolving sibling conflict. Small children are actually frightened by their own acts of aggression, but lack the ability to control them. They will gradually learn to control and master their frustration and aggression with firm, but gentle discipline. Teach your children to always resolve their arguments peacefully and quickly, and to learn a lesson from them. Every moment is a "teachable" one! I don’t know if this will help, but I distinguish between negotiations and fighting. If I hear angry voices in the other room, I listen for a minute. If the children are genuinely trying to figure out who gets what, what rules the games has, or how they are going to proceed, I leave it alone. Someone may cry, but they need to learn to work together. I need to coach them a bit in these negotiations, especially when one of the siblings is just learning to talk, but they need to actually solve the problem. Sometimes a person needs to play alone or have some quiet time. I respect that and sometimes insist that one person goes off by herself. But, if I sense that one of the girls is being excluded just because someone feels like being mean, then I intervene and help them find a way to include everyone. If someone runs into another person, on purpose or by accident, they must stop, help the other person regain her balance, say, “I’m sorry I bumped into you. Are you okay?” This is common courtesy and family members deserve at least common courtesy. Siblings will not always be best friends. I know this from my two older brothers. They cannot be more different. The younger one still aches for a close relationship with the elder, but I can tell you that that "ain't gonna happen!" They love each other, and they have grown to respect each other...they are 68 and 70 and both strong Christian men. But they will never really understand how the other one ticks. In our own family, our girls are like oil and water...or more like a match and lighter fluid. It was difficult for them, being so different. Now in their 20's, they are both growing closer. One put it this way, that they are both mellowing and that helps them grow closer. They respect each other and love each other. But there are still realistic expectations about how well they can handle each other for a period of time. I have to say that using the Myers Briggs assessment really helps. I know that little kids are too young, but as they grow, they can begin to learn why/how they are different and learn to respect the differences. What really helped was that my husband catechized them all with Luther's small catechism. They all memorized it together with him before bedtime. That was then the foundation of training and discipline with them. My husband would have them quote the various commandments, etc. that were being broken and have that be a part of the confession/reconciliation. Messing with siblings is how you grow up into all of life. It is teaching and training each day. Using the Catechism makes them realize that it's not just them. It's not just mom and dad. It's God. It's bigger than all of us. I like to think of siblings as one way to learn how to function within equality. I am one of the match and lighter fluid sisters mentioned above :) and to add my two cents I will say that it was very helpful to have parents who did not label us as "the trouble maker" and "the victim". My sister and I definitely took turns being the spark that set off an explosion or being the one that sent emotional shrapnel through the rest of the household. But since we were raised with the catechism we had a good foundational understanding of the old adam, we are both sinful and redeemed people and our parents treated us as such.